At the FISPA event in Atlanta last week, I presented on How to Compete. I realized on the flight home that maybe instead of making 100 slides of points to think about, I should have given a few tactics. Hence, this blog. BTW, the books I suggested are listed here. As many of you know, I love Seth Godin. That guy fires up my brain. 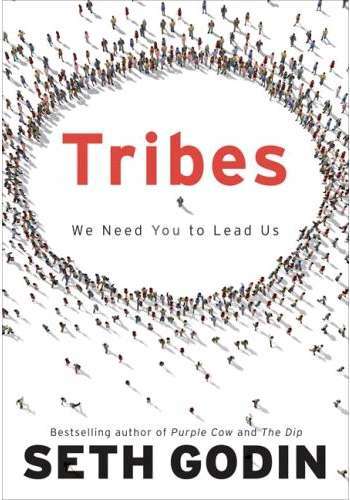 His book, Tribes, is about how most businesses don't need millions of customers to be profitable. And it is getting harder to mass market. So the idea is to build up a tribe of raving fans. A recent blog post of his was titled Perhaps You Should Just Make Something Awesome. Simple, right? Simple but difficult. I take it to mean: design a bundle of services specifically targeted to your tribe. The flipside to that is that not everyone will need it, but those that do will jump on it. ONE: You need a Story about your value to them. Not about the tech, but about the Outcome or the pain that you will remove. Think about a drug commercial. It takes about the disease, then it says ask your doctor for our drug. Then it mentions a thousand side effects. Skip that part. Know everything about your tribe, so that you can provide extra value. For example, know everything about healthcare technology, what the FCC is doing, what others are doing, tele-medicine, rural healthcare, HIPAA, etc. That way you can share it with your healthcare tribe. Bring in experts to interview, podcast, blog about, or have on a webinar or lunch-n-learn. THREE: Tactics to Hit target. Where do they hang out? What do they read? What associations do they belong to? Is there a LinkedIn or Meetup.com group that they belong to? Be there too. Pharma companies are always holding dinners for doctors at Ocean Prime and Capital Grill in Tampa. If that was my target, I would be in the bar early and late. Or I would rent a room too, put up a sign outside the door on an easel, and have a meeting about healthcare tech and federal dollars. Social media - Facebook, twitter, blogging, forums, Google Plus - are great tools for communicating with your tribe - and getting your tribe to interact with each other. Connect them together and they will never forget you.